Rydyn ni wedi cael ein dewis i fod yn rhan o gynllun Tescos - dwedwch wrth eich teulu,ffrindiau a chymdogion i fwrw plaidlais dros yr ysgol drwy osod tocyn gwyrdd yn y casgliad ym Merthyr - mae pob ceiniog yn cyfri! We have been chosen by Tescos as part of their Bags of Help Scheme-here is the letter - please ask friends,family and neighbours to vote for us with a green token when the scheme opens on November 1st - diolch! 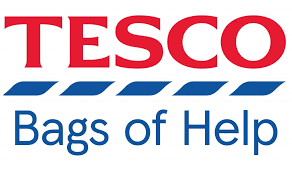 We are delighted to let you know that your application to the Tesco Bags of Help Grant Scheme has been successful and your project will be put forward to a customer vote in Tesco stores during November and December 2017. Your project along with the other two successful projects in your region will go forward to a vote in Tesco stores where their customers will decide the outcome by voting for their favourite project each time they shop. Voting will take place from Wednesday 1st November 2017 to Monday 1st January 2018 and we will notify you by the end of January 2018 confirming the amount of funding you will receive. The project with the highest number of votes across your region will receive up to £4,000, the second placed project up to £2,000 and the third placed project £1,000. If you are first in the vote, you will receive the amount that you requested in your application.